Smartfix was established back in May 2011. After lengthy due diligence, the principles were able to secure the rights to one of the most sought after Infrared technology on the market. Over the past 5 years it has built on its superior products along with decades of expertise to create the largest private infrared company in Western Canada. Primary – Corporations/businesses and private residences. There are approximately 874,000 businesses in Western Canada and several million residences. Secondary – Federal, Provincial, and Municipal Government. $40 billion in funds allocated to infrastructure. Asphalt is widely recognized as one of the most recyclable construction materials in use on the planet today. 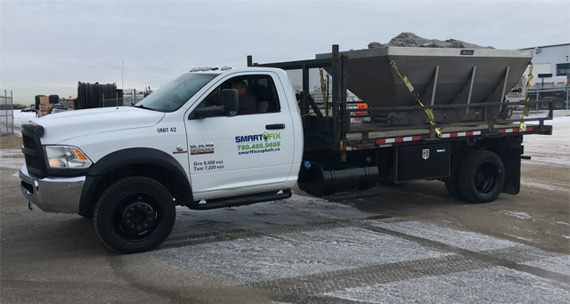 North America Asphalt plants typically incorporate up to 30 percent of reclaimed asphalt pavement (RAP) back into new asphalt production, reducing total life-cycle greenhouse gases by 10 percent. Hot Mix Asphalt (HMA) pavement is the most recycled material in the United States; each year more than 100 million tonnes of asphalt pavement is reused or recycled into new pavement.” Interest has been growing on how to capitalize on these trends. The vast majority of this spending occurs within the traditional means resurfacing and patching existing asphalt surfaces. 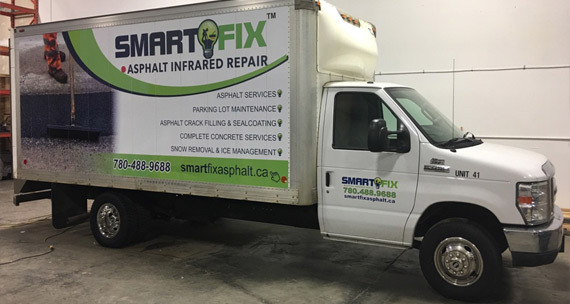 Smartfix has seen tremendous growth in the asphalt infrared repair business. © 2016 SMARTFIX ASPHALT. ALL RIGHTS RESERVED.